This last weekend typified English weather at it’s best and worst down here in Sussex. A chilly start followed by bright, warm spring sunshine, only to dampen the spirits by late afternoon on both days. I got lots of irritatingly delayed DIY jobs out of the way on Saturday and had the covers off my log stores to help dry next seasons burning logs so they would be ready to go when winter comes around again. 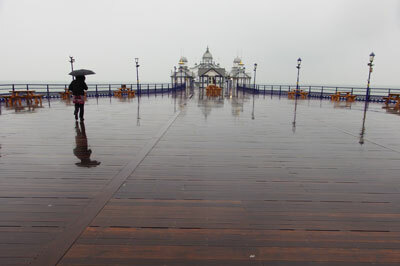 In the evening we went for a walk on Eastbourne Pier in the driving rain, oh such fun! Where once the dance hall/slot machine arcade stood until it burnt down in 2014, there is a perfect example of timber decking repair as if it had never even existed, although traders serving from their stalls on the promenade no doubt wonder if they will ever get back on the pier again. 2. 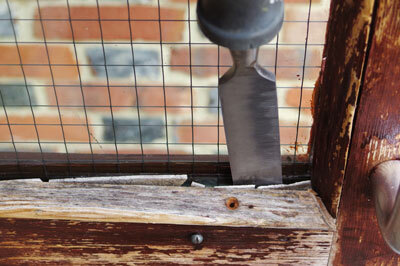 Harder than nails – aged putty that has really ‘given up the ghost’.